With their reliable IDC contacts they are the interface between the truck cable and drop cables. We have vast experiences at all stages from design to prototyping approval and to mass productions. With most competitive prices and profession in products, we are awarded dozens of tenders each year. The stream line production process model has been formed with injection molding, production, painting, printing and finally the assembly of finished products. The cable size and material are customized, your own logo and own design are welcome, We will produce according to your requirment and description. We can ship anywhere you would like, If your order is paid by T/T, and Westem Union we can ship it via our delivery forwarder or on your shipping account number. All your inquiries and orders will be taken care by us, we looking forward to your good advice and trade cooperation chances. Will you send me an enquiry for more details9 1. 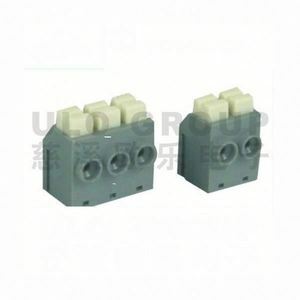 Are you a manufacturer or a trader9 We are a terminal block factory. 6. 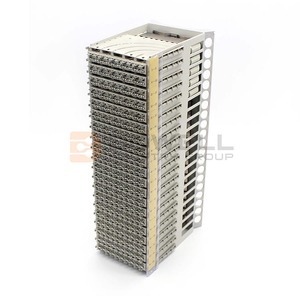 Is small order available9 Yes, we do not only supply MOQ order, but also small order for trial test or small projects. &bull; Internal diameter of connection wire: 0.4-0.7 mm. 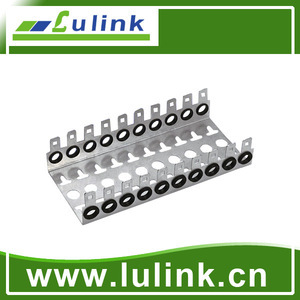 &bull; External diameter of connection wire (shield): 0.7-1.4 mm. Our goal is to win the first place among competitors and challenge world famous enterprises. 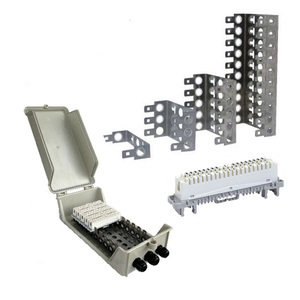 Our main products cover from copper telecom cable and fiber optic cable connectivity & distribution system. 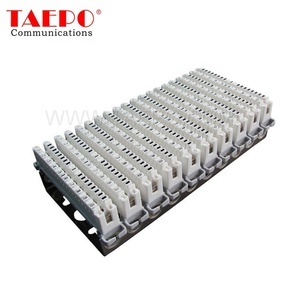 Our main products include terminal block, MDF block, protection magazine, keystone jack, patch panel, distribution box and cross connection cabinet etc. (2). 5. What action will you take if there are some product problems9 If there are defective ones in the batch of products, we can offer spare ones for free. 4. The IDC block is for 4pairs and 5pairs. 3.The IDC block is for 4pairs and 5pairs. Each patch panel will be packed firstly with a plastic bag and then a firm inner box.